Grover Corlew bought the Hillsboro Center office complex in Deerfield Beach for $32.5 million, a sharp increase from its last sale price in 2015. 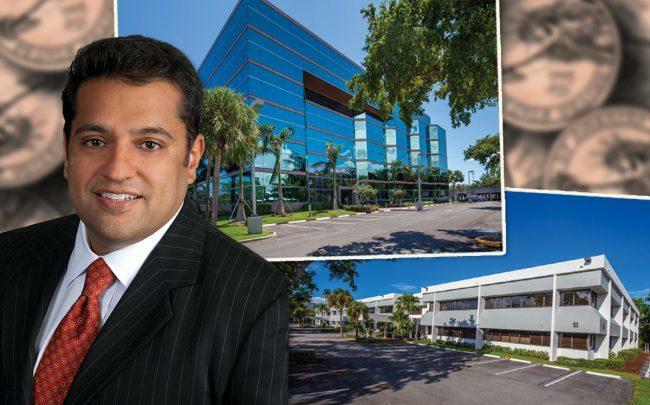 The Pompano Beach-based real estate investment firm purchased the five-building, 216,100-square-foot development at 600 West Hillsboro Blvd for $150 per square foot, records show. The seller is tied to Dallas-based TriGate Capital, which paid $22 million in 2015 for the buildings, records show. They were built in 1987. Cushman & Wakefield represented the seller in the deal. Hillsboro Center is currently 90 percent leased, with tenants including Dart Container Corp., Humana and Old Republic National Title Company, according to a press release. Grover Corlew focuses on buying conventional office buildings, medical offices and retail properties in the Southeast. In 2016 it bought Boca Raton’s Interstate Plaza, an 87,146-square-foot office property at 1499 West Palmetto Park Road, for $9.5 million. Deerfield Beach, close to Fort Lauderdale and I-95, has become a popular location for commercial and industrial developers. Last month, Brookfield Property Partners bought four commercial buildings at Deerfield Beach’s Quorum Business Center for $36.3 million. In late 2018, Adler Real Estate Partners bought a corporate park at 348-398 and 402-636 Southwest 12th Avenue for $35.1 million.